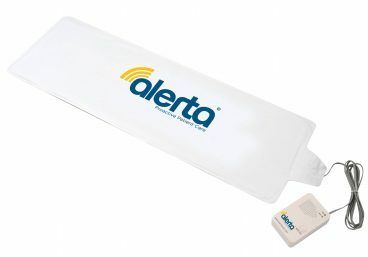 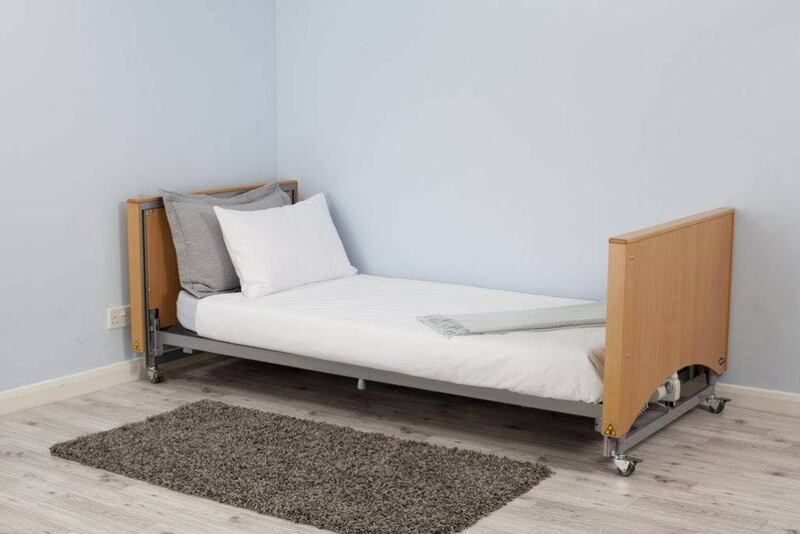 The Medley has a 4-section profiling action including an electrically adjustable backrest and knee brake function for comfortable and safe positioning. 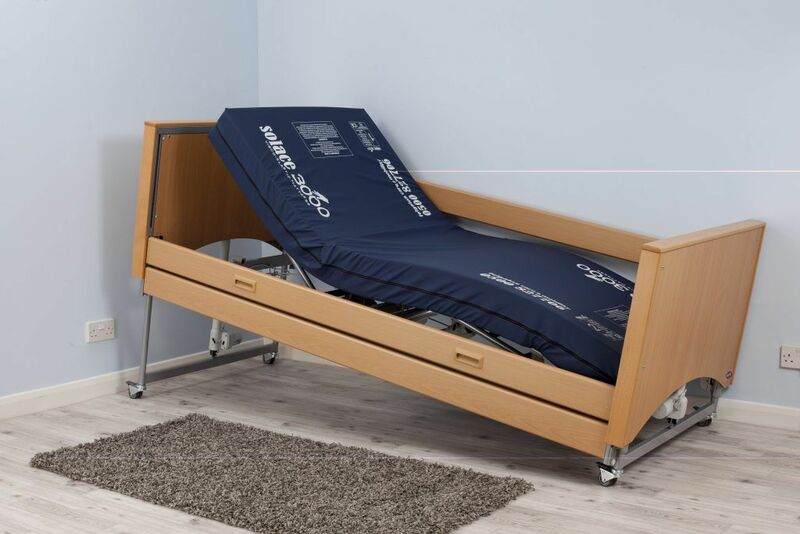 The mattress platform has been optimised to reduce shear and friction, increase comfort in the seated position and reduce the tendency to slide down when profiling the bed. 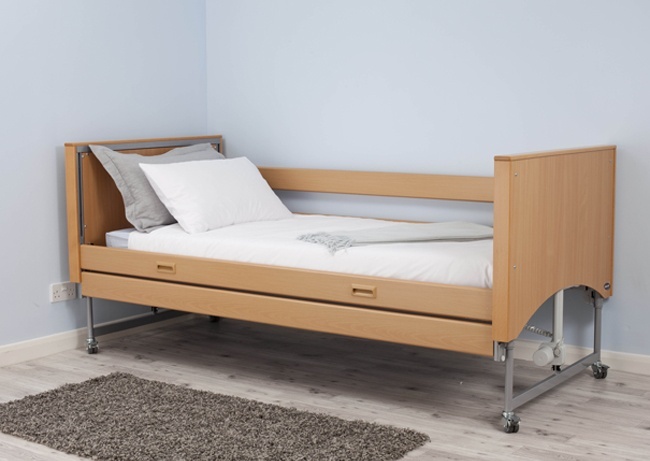 Twin height positions for the mattress platform allow the height adjustment range to be tailored to the individual needs of the carer and accommodate different transfer heights for the user. 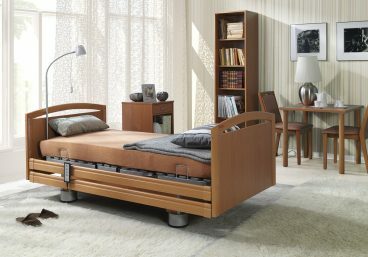 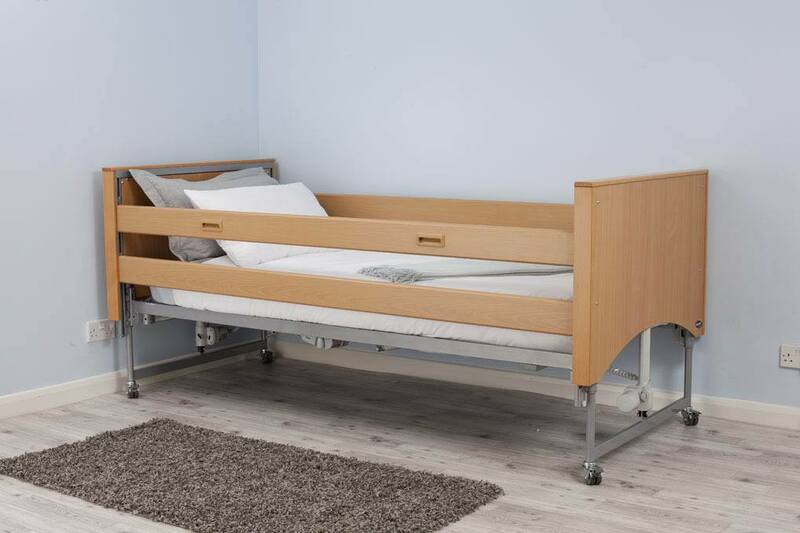 The Medley Ergo Select offers an attractive and homely design, with aesthetic bed end covers so the actuators remain unseen. 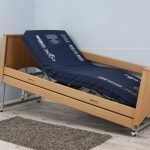 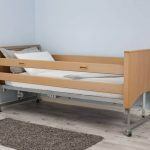 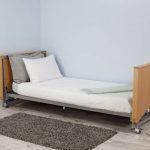 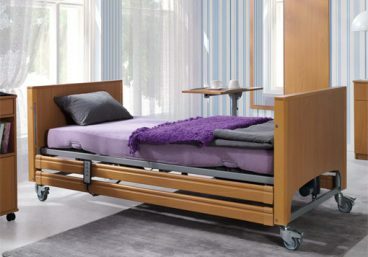 The Medley Ergo Select profiling care bed combines quality and functionality with affordability, making it a popular choice for nursing care facilities.